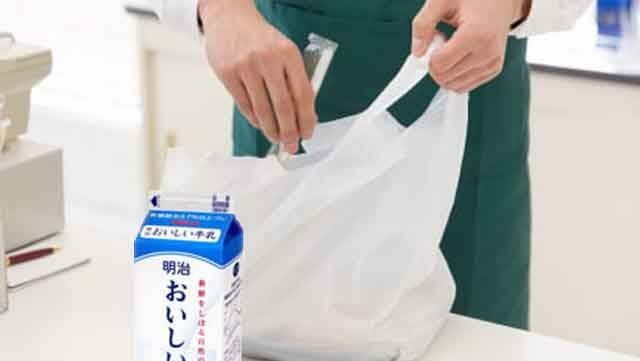 A convenience store customer in Nagasaki City was offered a straw yesterday with their 1-liter carton of milk purchase. “Would you like a straw with that?” the clerk asked. “I’ll take it,” said 51-year-old salaryman Shiroeki Taisuu. The clerk placed the carton of milk inside a plastic bag together with the straw, which was also covered in plastic wrapping. Taisuu was later seen drinking the 1-liter carton of milk through a straw in front of his work computer. Taisuu’s colleagues thought he was a bit weird for drinking the milk without the plastic bag still wrapped around the carton. After finishing his milk, Taisuu felt “nemui” and a warm sense of pride deep down in his loins thinking about how Japan is “so eco”.